One - cap Nigeria international Ugochukwu Ukah is still celebrating netting the equalizer for his Polish club Jagiellonia Bialystok in their 1 - 1 draw with PogoÅ� Szczecin last weekend. The 29 - year - old was on the score - sheet in the 20th minute, cancelling out Matthew Piatkowski’s effort two minutes earlier. “I was happy to score the equalizer and win the man of the match. Also glad that I made the Team of the Week for second time in a row this month. “Hopefully I will keep playing like this even on Friday against my ex team Widzew Å�ódÅº,,”Ukha told allnigeriasoccer.com. 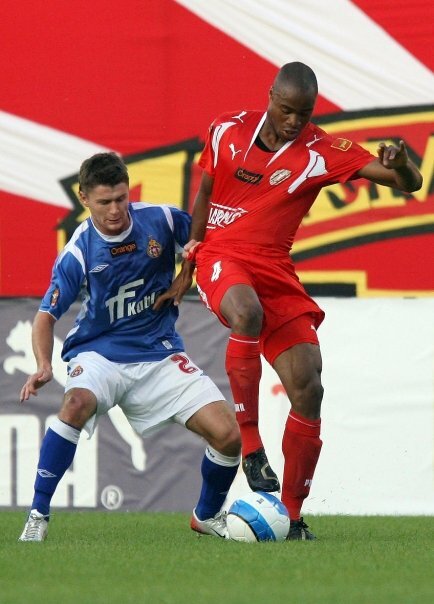 Ugo Ukah is under contract with Jagiellonia Bialystok until June 2014.